Canadian taxpayers can annually elect that up to 50 percent of certain types of pension income can be split, shifted, or allocated from a higher-tax-bracket spouse/common-law partner to a lower-tax-bracket spouse/common-law partner. This results in the couple paying less tax! The tax paid by the lower-tax-bracket spouse/common-law partner will be less than the tax saved by the higher-tax-bracket spouse/common-law partner. The pension-splitting result is optimal when one spouse/common-law partner is in the highest tax bracket and the other spouse/common-law partner is in the lowest tax bracket. Because the lower-tax-bracket spouse/common-law partner will report a higher net income as a result of electing to pension split, the age credit available prior to pension splitting can be reduced or eliminated. (The age credit decreases as income begins to exceed $33,884 in 2012.) As well, the higher-tax-bracket spouse’s/common-law partner’s claim for a spouse or common-law partner amount can be reduced or eliminated. To decide whether an election to pension split makes sense, weigh these implications in light of the tax savings pension splitting can provide. The pension-splitting rules apply to Canadian residents who are married or in a common-law relationship. The maximum amount of eligible pension income that can be split is prorated in cases where a couple comes together during a year or one of the spouses/common-law partners dies. You can split your pension income with your spouse/common-law partner even if he or she is under the age of 65. Registered retirement income fund (RRIF) and life income fund (LIF) withdrawals. Amounts listed above for the 65 or over crowd if received by virtue of the death of a spouse/common-law partner. The amount to be split is deducted on line 210 on the tax return of the spouse/common-law partner who actually received the pension — the high-tax-bracket spouse/common-law partner. The amount is added to the income reported on the other spouse’s/common-law partner’s tax return — the low-tax-bracket spouse/common-law partner — on line 116. Both spouses/common-law partners must agree to partake in pension splitting and the amount to be split, and must complete and sign two copies of form T1032, “Joint Election to Split Pension Income.” Each spouse/common-law partner must include the form with their tax return if paper filing. If electronically filing each spouse/common-law partner needs to keep a copy in case the CRA asks to see it. 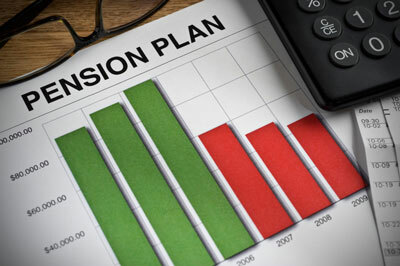 The rules for the pension income credit were expanded when the pension-splitting rules came into being back in 2007. If both spouses/common-law partners are over age 65, then each will be able to claim up to a $2,000 pension income credit amount. (If the eligible pension income is less than $2,000 the credit maxes out at the actual eligible pension income taxed to each spouse/common-law partner.) The result is that pension splitting may serve to permit another pension income credit amount of $2,000 in the family where the lower-tax-bracket spouse/common-law partner was not entitled to it previously. The rules are a bit trickier if both spouses/common-law partners aren’t over age 65. In that case, if the payments came from a registered pension plan (RPP) then each spouse/common-law partner is entitled to a pension credit regardless of age. However, in most circumstances payments from an RRSP or RRIF will not qualify for the pension credit in the hands of a spouse/common-law partner under age 65. In that situation, you may still benefit from paying less tax if each spouse/common-law partner is in a different tax bracket — you just won’t benefit from the pension credit as well.